I have MT3506 motor with F-30 Hobbyking esc reflashed with MWii firmware. Why so many people remove BEMF capacitors? What's the benefit? ...because I also read about people that don't take care about this, there is some issues? I just flashed my rctimer 20A (simonk version) to wii-esc. The process went fine. I just tested the quad on a jig for the moment, but I already feel a smoother behaviour. However, I have the feeling that the motors are louser than with simonk. (there is a treeble sound, like a whistle) that was not there before. Further to my first test yesterday, I ran today additional test on my bench. - I noticed than the max throttle is significantly lower than with simonk. (for my test bench i use a computer PSU wich is very current limited, and usually i trigger the PSU safety at 60% of the throttle. With the Wii-ESC firmware, i have never triggered the safety,even at fullthrottle. I understand that wii-esc has a better efficiency but I doubt it is the only reason. After further investigation, i have the feeling that this is related to the multiwii PID settings: With wii-esc I am able to have higher settings and the gyro mode is rock stable. however, when i look at the throttle output of each motor (in multiwiiconf) it vary a lot (typically between 1200 and 2000 at full throttle),wich is normal with high PID settings, but this means that theaverage throttle is not as high as when i set a lower P.
Not sure if I am clear and if you noticed the same. - I have not removed the "BEMF capacitors". Is that necessary ? Where are they on my ESC? sorg wrote: I just flashed my rctimer 20A (simonk version) to wii-esc. Hi! Yes, this is normal, as wii-esc is using SDM modulation instead of a fixed frequency. sorg wrote: - I have not removed the "BEMF capacitors". Is that necessary ? Not sure about your first question, as the endpoints should be the same unless you have set them differently. The RCTimer ESCs (and pretty much anything other than BlueSeries/Mystery/F-series) don't have any sense filtering capacitors, so nothing to remove. sim wrote: Not sure about your first question, as the endpoints should be the same unless you have set them differently. I have definitly less power with wii-esc than with simonk firmware. I am not able to tak-off anymore. I have flashed with the wi--esc firmware with extended range eeprom settings. In the Configuration Editor does selecting "Enable Braking" activate Complimentary pwm for bs_nfet.hex or is it already anabled by default and this is an entirely different type of breaking? I'm trying Wii Esc for the first time and I'm very happy with it so far, I'm just not sure if complimentary pwm is active. Zenman wrote: In the Configuration Editor does selecting "Enable Braking" activate Complimentary pwm for bs_nfet.hex or is it already anabled by default and this is an entirely different type of breaking? I'm trying Wii Esc for the first time and I'm very happy with it so far, I'm just not sure if complimentary pwm is active. AFAIK if you flash your ESC with appropriate flash COMP_PWM will be active (breaking means actual breaking to stop prop in the air when TH is on zero). Hello, I am interested in flashing some RCX 10A ESC's with the Wii Esc. These are the same as RCTimer, so I believe it will work. In the RApid Esc database, these Esc's have a note saying that the MCU gets corrupt at high currents. Well a bunch of us have been toasting our Esc's and we are trying to figure out the cause. I haven't been going over the rating, so we are not sure why. Also, what is a configuration editor, and do I need to mess with any settings before I flash? I'm trying to repurpose burned ESC and would like to know where to access individual Atmega ports, without actually soldering on its pins/legs? My special interest is in HobiKing F-20A and Turnigy TY-P1 (have couple of them). I need serial TX/RX pins and some other digital I/O pins. I am interested in loading wii-esc in Afro ESC 30A. The fact is that I am having problems with Afro + Simonk + D3530-14 motors. There is not a HAL for this ESC, but based on Simonk HAL, a wii-esc HAL is quite easy. I have created one, but it is not tested. Can anyone take a look at the code and tell me if it's ok? Do you have schematic for this esc? First time posting in this forum. 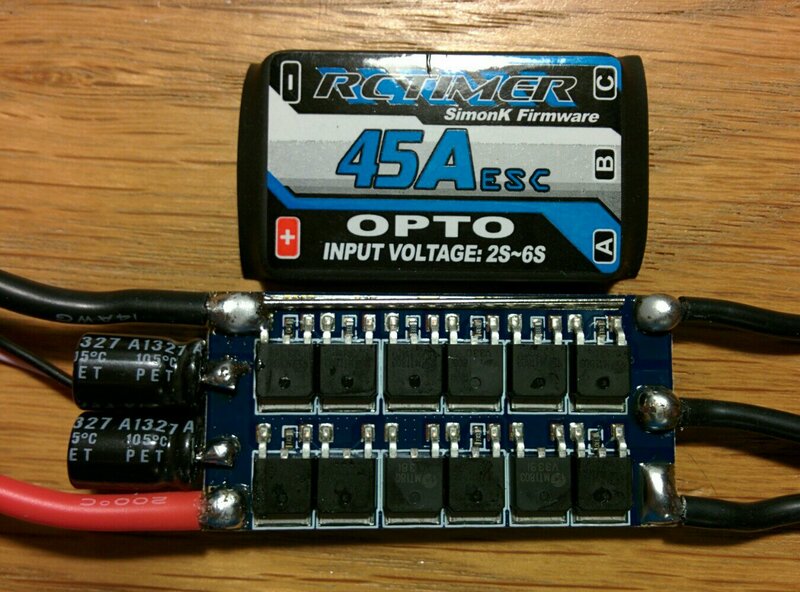 I recently bought the RCTimer 30A and 45A ESC to flash with wii-esc. I have used wii-esc with good results on the RCTimer 20A before. Of course these new ESC doesnt map with any old files, seems to be new designs so I started to make .inc for SimonK for them. I have only tested them on the bench so far and it seem like they work great for that particular motor. I then started making a hw file for the rct30nfs for wii-esc but soon noticed that wii-esc doesnt have a implementation for having the RC input on ICP1 (PB0). I will try to make one later on but first I wanted to get the rct45nfs to work with wii-esc. Though it seems like I need some help translating the SimonK .inc file to wii-esc. Right now the esc only beeps once and then when I apply some throttle it just twitches a little and then the current limiter kicks in. I would really appreciate if some could have a look and see if I have made any obvious mistake. ..On() ..Off() macroses was using wrong ports..
Now it seems to be working, have not tried with prop on yet. Could you please test it? In case it works, I'll include it to the "trunk"
Absolutely, I just need to build a rig first so I can run it safely with prop on. I'll net you know as soon as I have it set up and done tests. Tested with comp_pwm enabled yesterday and that seems also to be working (only motor, no prop). About the RCTimer 30A NFS. It has rc_in on ICP1 an I have started trying to implement support for this. Though I have never programmed microcontrollers except a little arduino and don't really know how I should do this. I think it should look something like this. 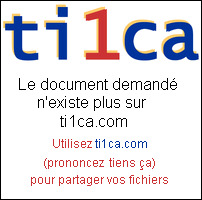 Do you think you can have a look at it? Which you pretty much did. Why you enabling Overflow interrupt? There are no handler for it..
Now it looks like the a32u4_int.h file you pointed to. Tested it last night but it didn't work. No startup sound. Could that be because of the enabled overflow interrupt? Feels like it shouldn't matter if its enabled but doesn't have handler, just that nothing happens when it interrupts. With avr-gcc default handler is "bad_interrupt" which is infinite loop. Tested the RCTimer 45A NFS ESC today with RCTimer 5010-14 360KV, 16x55 prop an 4s. It struggles a little bit just when starting but then it worked really well. I could not make it loose sync. Also did some more testing with the rct30nfs. Must be something wrong the interrupt. Measured the output to the FETs and all is correct except for BpFET which is 0v. BpFET is connected to INT1 (PD3). By default arduino startup initializes Timer1 to the PWM mode, in which using ICP not possible. Unfortunately neither inverting the capture or setting TCCR1B to only CS11 worked. I had actually already made change in the Board_Init just to be safe. Im going to do some more testing tonight, would it be possible to define the beep function i global.h and then place a call to it in the interrupt function to verify that the interrupt is actually working? Ok, so I placed a Debug_TraceToggle() in the ISR(TIMER1_CAPT_vect) function. This makes the debug led light up and the then it seems like it hangs, no startup sounds. I have no idea why it hangs, same thing if I place the Debug_TraceToggle() in the rx_ppm_callback func. Tested the to toggle the led in some other places as well. And it seems like either rx.frame_received or rx.raw never gets set. I'll try that tonight. I remember reading about it but had forgotten all about it, thanks for reminding me. I'm really at loss here. Ive been reading the datasheet over and over and looked at various examples on the net, I really think this should work. Anyway, I'm learning a lot here just wish I had more time each night to sit with it. and now it works to toggle the led in the interrupt handler. The datasheet states that the ICF1 bit will be reset automatically so maybe we can remove it. Still no arming beep though. Can't really see any difference in frequency when turning the throttle up and down. But maybe the difference is to small to notice. Seems like we're not getting past the if ((tmp >= rx.rcp_min) && (tmp <= rx.rcp_max)) in the filter_ppm_data function. Tested to toggle the led if(tmp >= rx.rcp_min) and that works. Then tested to toggle the led if(tmp <= rx.rcp_max) and that also worked, whooot!! Retested this a couple of times with the same result, guess I'm too tired to see why. Could temp be 65535 and evaluate to -1 when checking if temp is less or equal to rx.rcp_min? Thats the only explanation I could think of. Everything is unsigned, so should not be a case. Yeah I know, now when my head is bit clearer. If I understand the data sheet this enables noise canceling for Analog Comparator. And this is nice as long as we doesn't enable the TICIE1 bit in the TIMSK which makes the Analog Comparator trigger the Input Capture. Had to enable the serial port and actually print out the pulse values I got until I found this, would have been nice to have a oscope sometimes. This has been a new experience for me, I have never coded microprocessors before except for some arduino stuff. Always fun to learn new things. Thanks for all the help, I really appreciate it. Oops this is left-over of old attempt to use ICP for the zero-crossing detector. Removed from everywhere, to avoid confusion. Also commited your targets to the main branch. Tnx. BTW: I think, it still good idea to clear ICF1 flag after changing sensing polarity, so I left it there. I flashed an rctimer 45A NFS Opto with the corresponding .hex file. When I connect the ESC it emits a "1-2-3-4-5" ascending beep squence, when I go on full throttle it adds another long "beeeeep" - but then - nothing. did anyone reflashing into fast pwm Redox 20A esc? I had the same problem as you will my rct45nfs (only armed at full throttle). Turns out that the fuses were incorrect and weren't activating the external 16Mhz oscillator (running 8Mhz internal instead). I couldn't fix it with Wii-ESC Flash Tool v 0.7, but I was able to restore the external clock selection fuses with kkmulticopterflashtool, then programmed the wii-esc rct45nfs.hex and the eeprom config using the Wii-Esc Flash Tool. I'm not sure how the fuses ended up changed in the first place, but I suspect the Wii-Esc tool did it with its 'optimal fuse' settings? 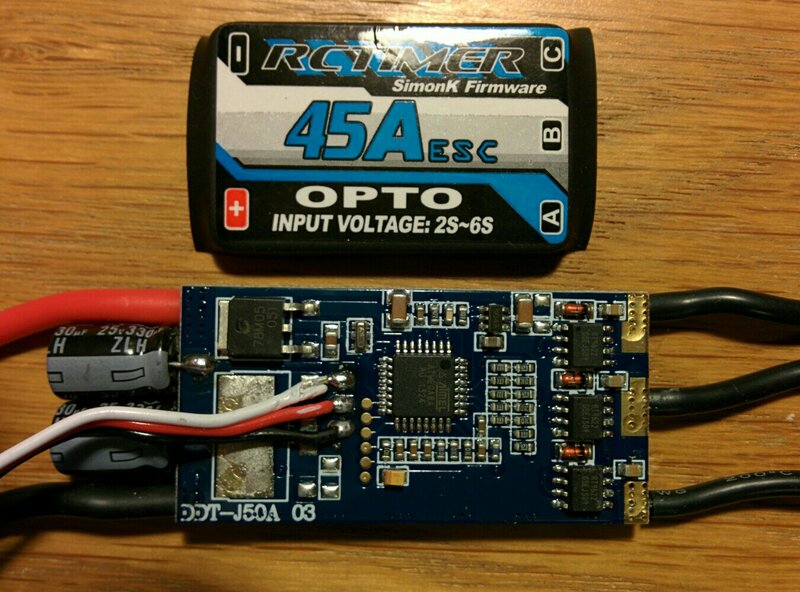 I have not found any infos for reflashing my hobbyking SuperSimple 18A ESC, see picture. Fortunately I could find some informations elsewhere, so I could reflash the ESC's with simonK software. SimonK ESC's give less power than others? I bought on ebay G-SUN 30A ESC's with originally loaded SimonK firmware (unknown version) and I'm disappointed because I'm with it getting much less maximal thrust from my motor/propeller (about 70%) compared to other models (more different ESCs). I remember that the same thing happened few years ago when I reflashed some other 10A ESC's to SimonK - I lost a lot of max. power. Have anyone experienced this behaviour? Is it normal, can it be changed? This design from 2011 works great with this firmware. I redesigned the PCB and going to make some prototypes. Its a very robust and cheap design on a double sided board. Al the credits for the good Quality are for ziss_dm !!! !